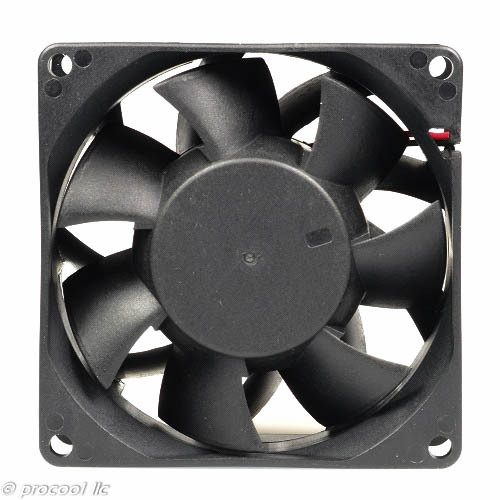 Procool model T80 fans provide ultra high airflow and air pressure for cooling the hottest racks. Airflow is 84.1 CFM at 5700 RPM. For extreme cooling!